How did you address one another while filming? LSG: By name, not character names but our real names. Are you the same age? For both of you, it’s your first time starring in a romantic comedy. LSG: Personally, I like the romantic-comedy genre, and I want to be good at it. Meaning that it’s a genre in which an actor has to show both diverse and natural attributes. In choosing my first film, since I didn’t have experience on a huge action or blockbuster project as of yet, I didn’t feel I could do it well. On the other hand, with this movie, I felt I could create and develop this well with Chaewon. MCW: Different from Seunggi, I didn’t like romantic comedies. I will be 29 in the new year, and I did want to do a romantic comedy at least once before I turned 30. I wanted to see how I would appear in a romantic comedy. And at that point, I got to meet a personality similar to that of Jun Jihyun’s character in <My Sassy Girl>. Someone once said, if I wanted to do a romantic comedy after the age of 30, it would have to be with a young guy. (chuckles) I feel very lucky to have met this project now. In the movie, Junsoo and Hyunwoo have a ‘some’ relationship and have been friends for 18 years. When you received the script, what type of character came to mind? LSG: Junsoo is a friend who would be extremely good to Hyunwoo. I felt I could convey these sincere, loving positive attributes for Hyunwoo. More importantly, since the character Hyunwoo acted by Chaewon has a lot of charms, I thought a lot of fun scenes could come out when [Junsoo and Hyunwoo] get together. MCW: Junsoo has deep perseverance. Even though he also shows pitiful sides in order to make the story fun throughout, by and large, he is a man who does everything he needs to do. LSG: For our generation, the ‘Cold/Heartless Guy’ is very popular. A guy who is cold and prickly toward a woman. Junsoo is a man who’s opposite to that. MCW: Not really into cold/heartless guys. 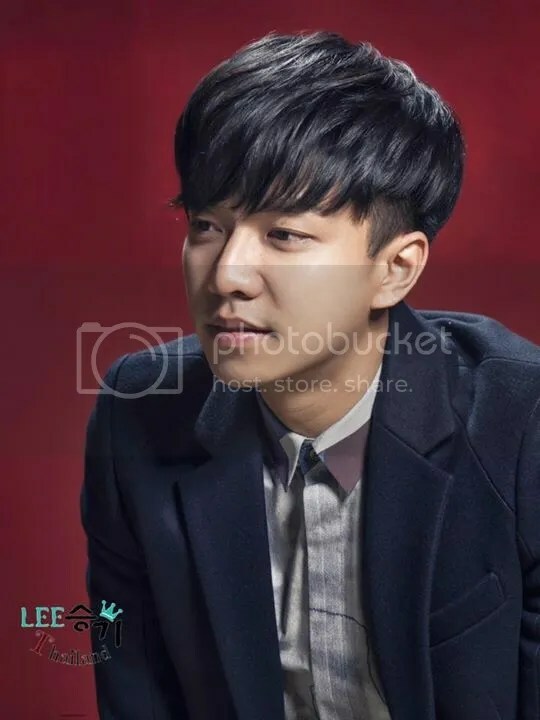 LSG: Yeah, more than that, ‘Cold/Heartless Guy’ is not suited for me, right? Through the movie, I wanted to show a sincere and charming love and depth to the generation of daters for which the ‘Cold/Heartless Guy’ has been popularized. MCW: Hyunwoo acts like a tomboy in front of her dear friend Junsoo, and acts like a cunning fox in front of her work boss. She’s rough around the edges but also tenderhearted, therefore she’s a woman who always needs to be taken care of by someone. What did you think when you heard the other person was cast for the role? LSG: Honestly? Haha. I really liked it. For a romantic comedy, I think actors’ friendly nature is just as important as their acting skills. I’ve always been close with Chaewon, and Chaewon’s face is a style I like. MCW: (raising one arm up to the sky) Wow! (busting out laughing) When Seunggi said he was going to do it, I thought it was the best casting. (chuckles) On top of being able to convey an easygoing, unaffected charm, there’s also a sweet charm to him. If another person was cast, I probably would’ve thought he at least had charms as an actor, but I don’t think he could have showcased Junsoo and Hyunwoo’s relationship to the extent Seunggi did. Like when would you become close? How often did you meet before filming? MCW: On the first day of filming there was a drunken fit scene, and we filmed a kiss within four days, no, I mean a [bo-bo, not deep kiss] scene. (chuckles) Unlike Seunggi, who tends to treat even people he’s met for the first time quite naturally, I have a tendency to be very reserved. This time, I wanted to become close with Seunggi quickly, and so I tried hard to do that. Although I don’t appear very tense in the movie, early on, I was incredibly nervous. As time went on, I became comfortable, and I found myself leaning on Seunggi again and again. Like Junsoo and Hyunwoo in the movie, do you think it’s possible for two friends to be in a ‘some’ relationship for a long time? [ENG] ‘Love Forecast’ Movie Making Production Video – Why Lee Seunggi + Moon Chaewon? Why Director Park JinPyo? Thanks Ann for the translation. Thank you so much! This is great!!! Omg why are they so cute together?? We shall look forward to watching this drama. Hope it out shines brilliant legacy.